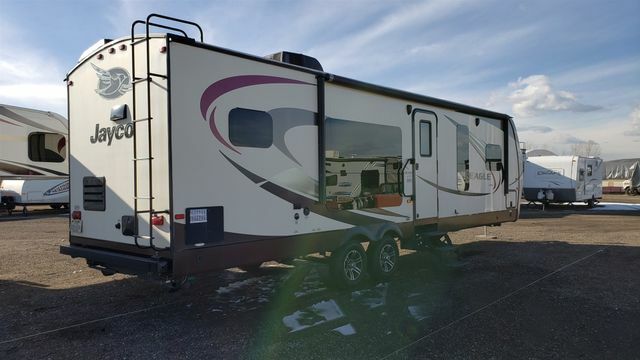 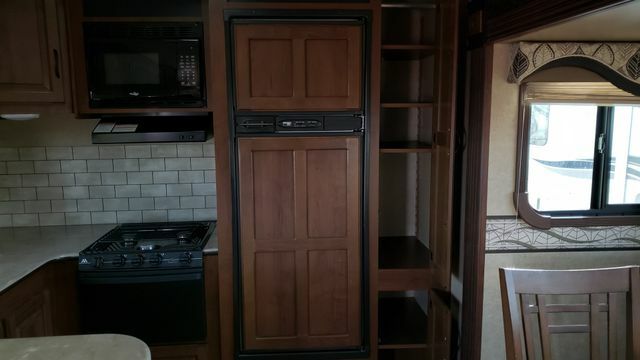 Looking for a rear kitchen, recliners, and a dual entry bath? 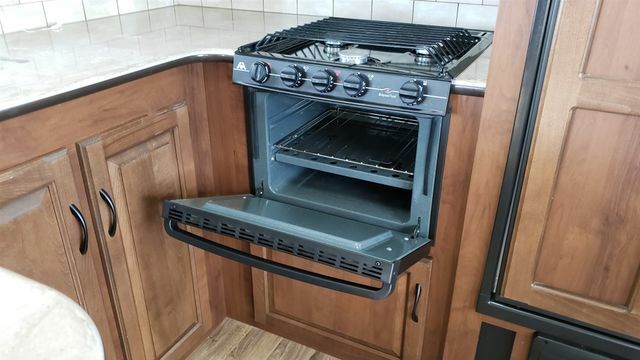 Than this a great choice. 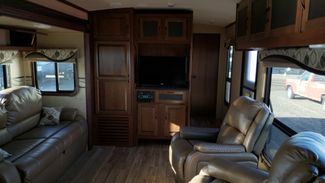 Step inside to the left there are two recliners, The opposite side of the travel trailer has a slide out with a free-standing table with chairs, and a hide-a-bed sofa. 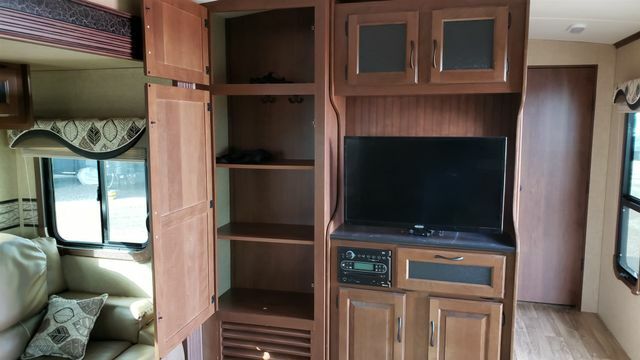 Next to the slide there is a wardrobe and an entertainment center hutch with overhead cabinets. 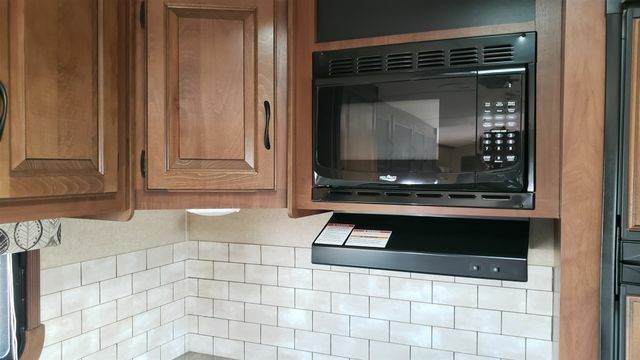 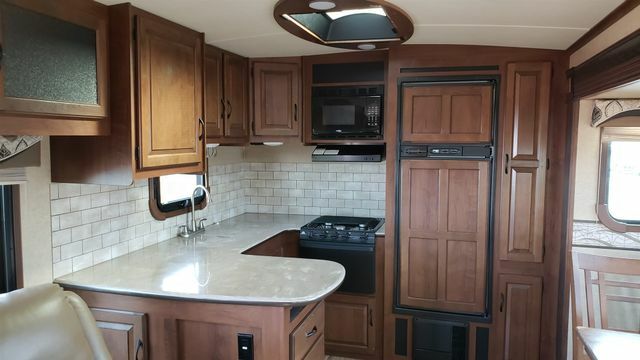 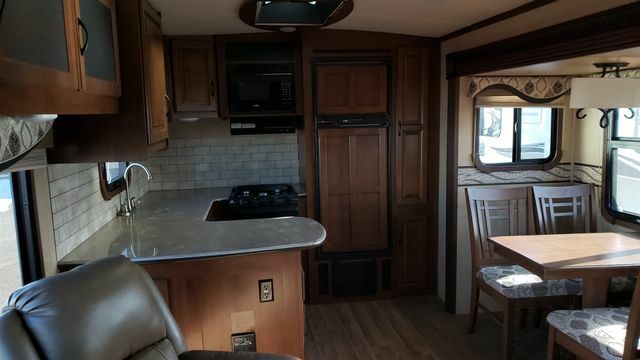 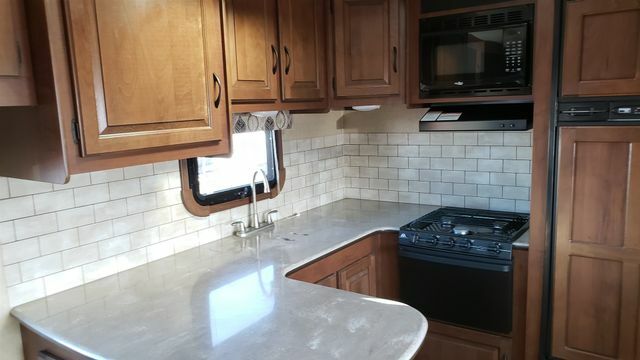 The kitchen is located in the rear of the trailer. 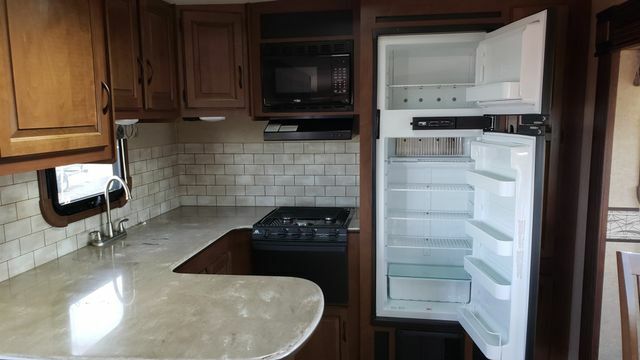 The full kitchen includes a pantry, refrigerator, microwave, and three burner range along the rear wall. 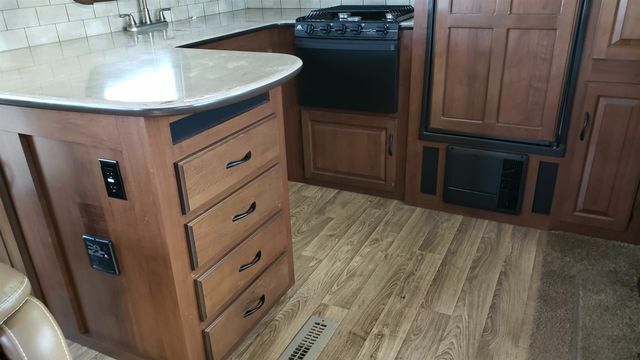 As the countertop continues to the curb side there is a double kitchen sink, additional overhead cabinets, and a L-shaped counter. 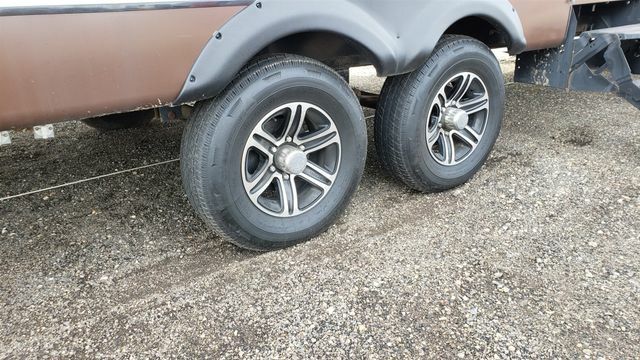 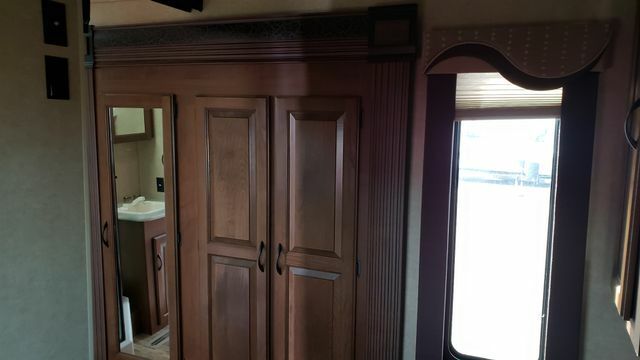 As you proceed toward the front of the trailer, the bathroom is on the left. 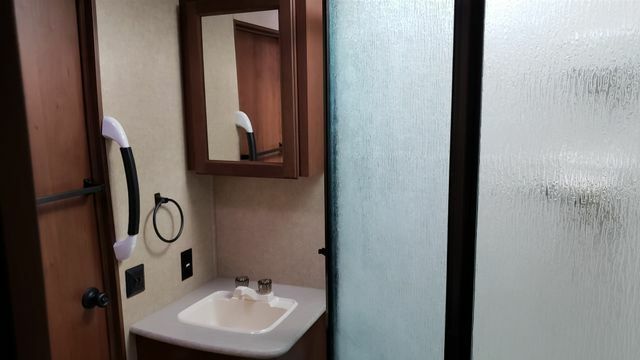 Inside the bathroom you will find a sink, medicine cabinet, corner shower, toilet, and linen cabinet. 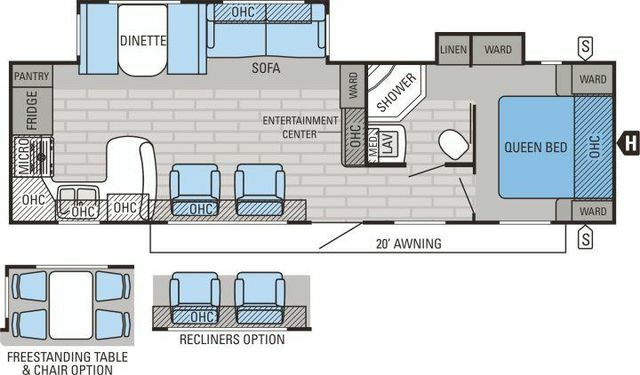 You can enter the bedroom from either the hallway or from the bathroom. 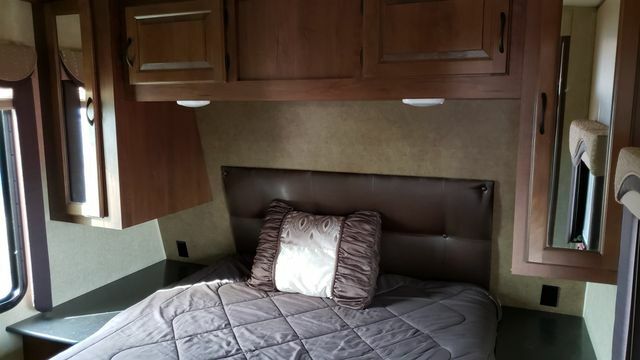 Inside the bedroom you will find a queen bed with wardrobes on either side of the bed. 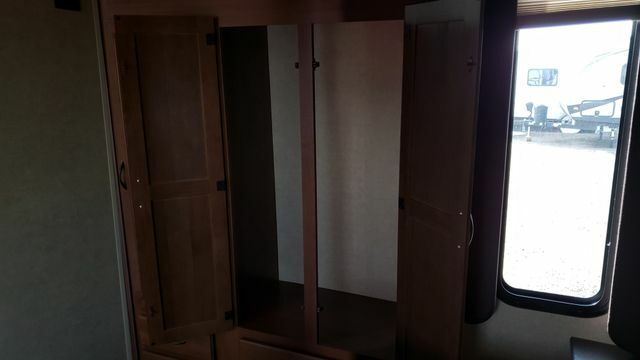 There is a slide with a wardrobe and linen, which provide additional storage. 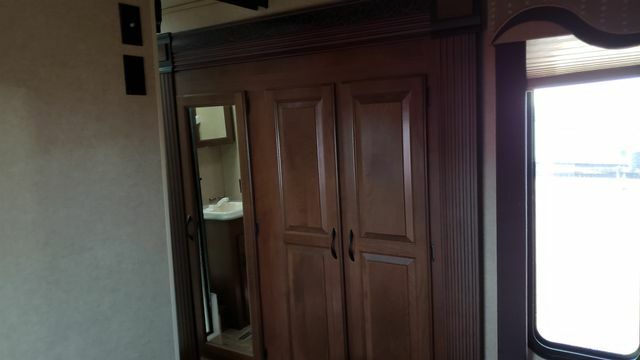 The linen cabinet is accessible from the bath or bedroom. 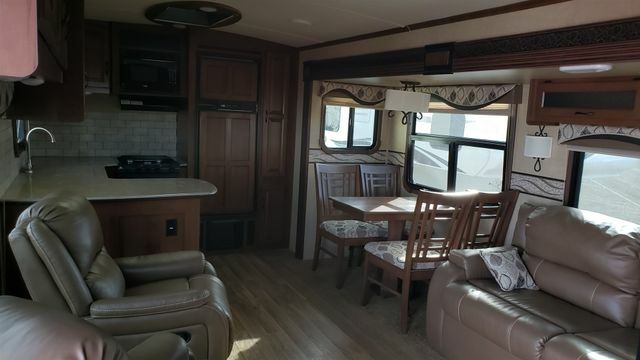 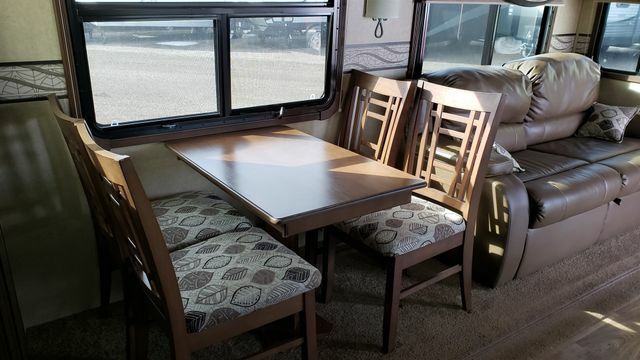 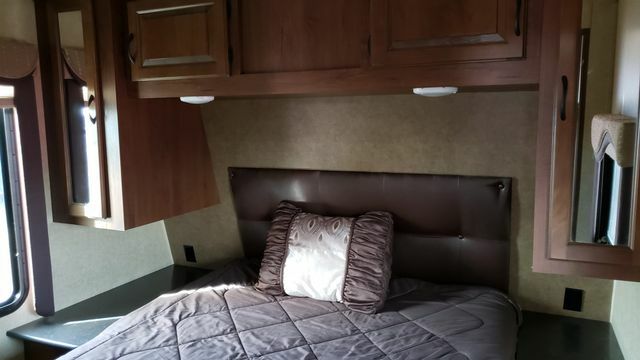 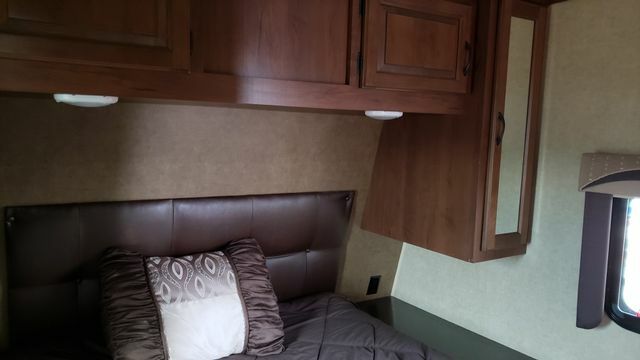 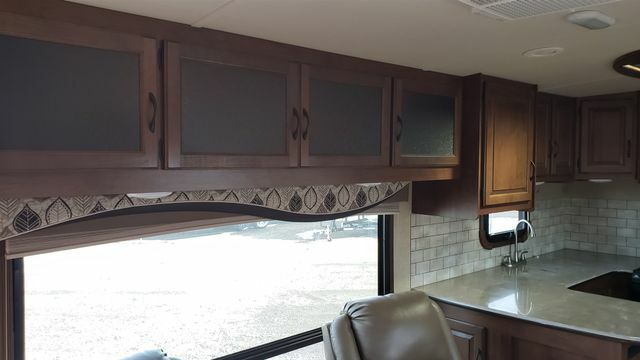 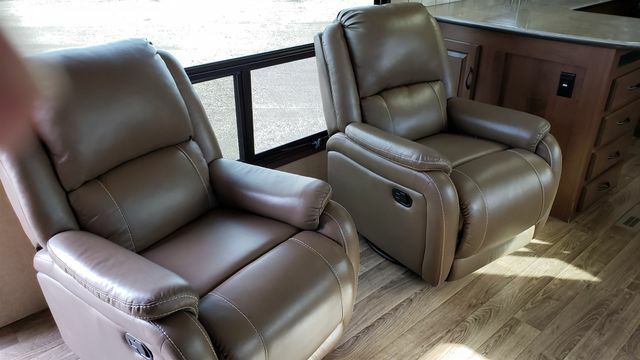 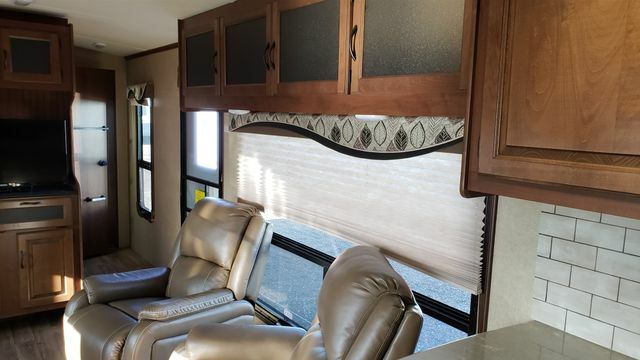 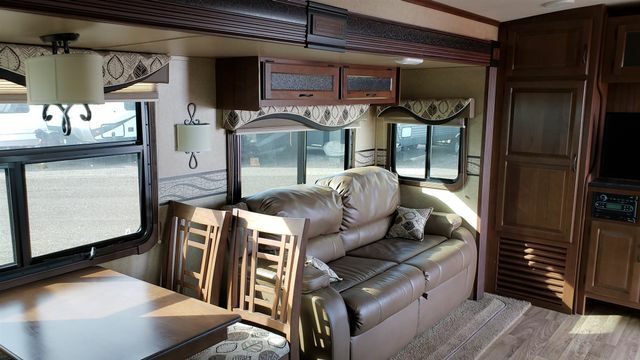 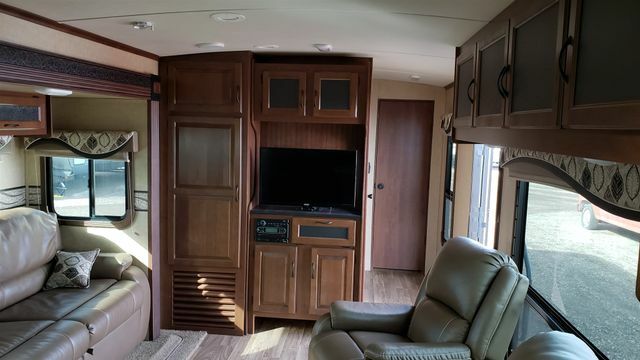 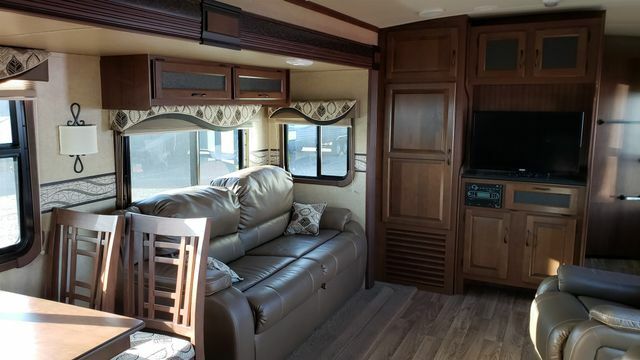 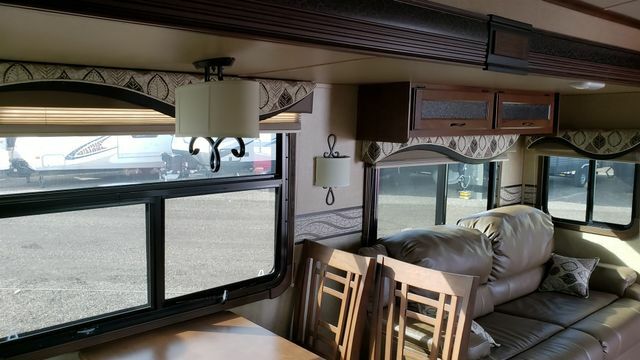 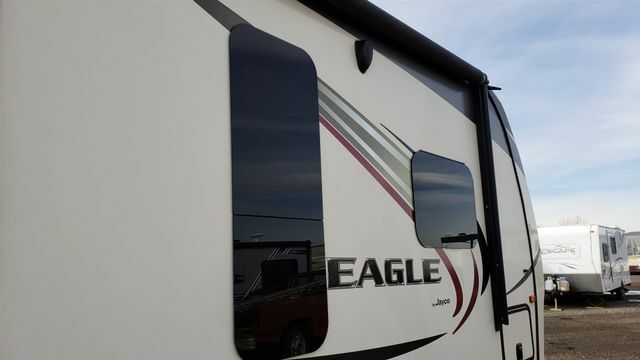 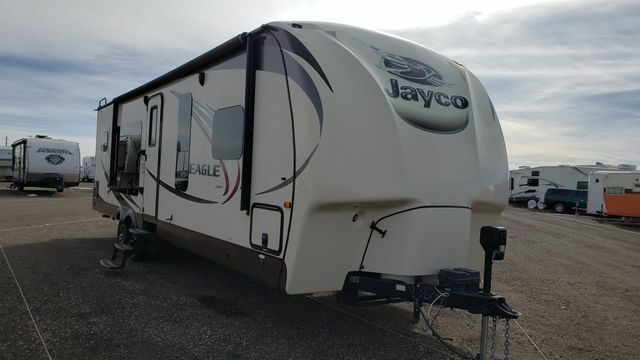 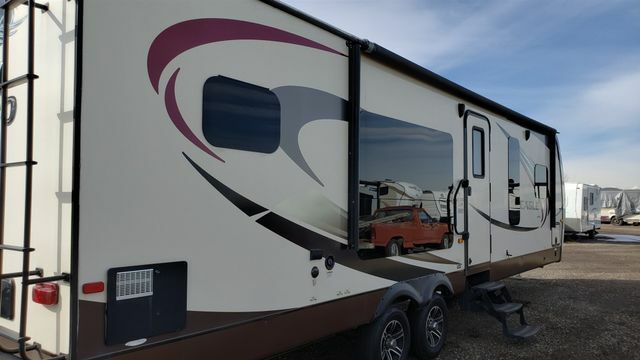 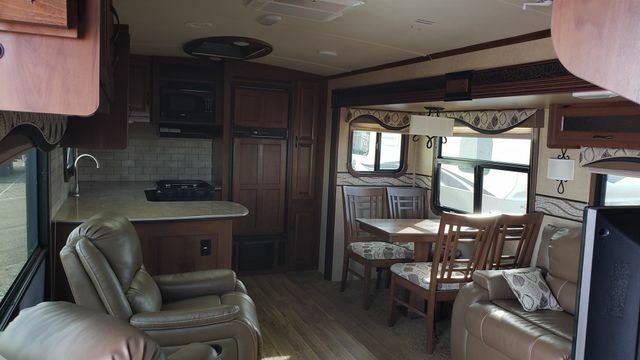 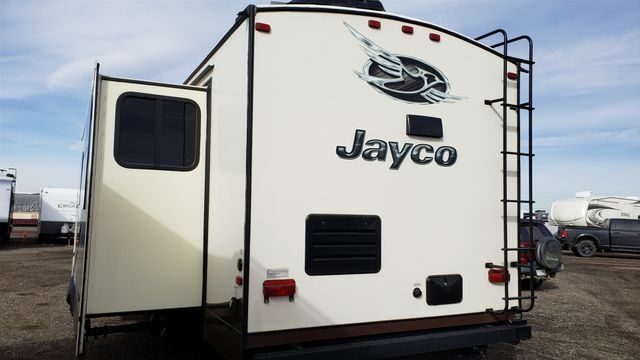 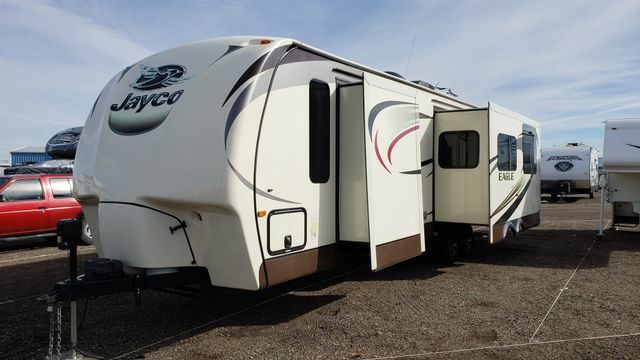 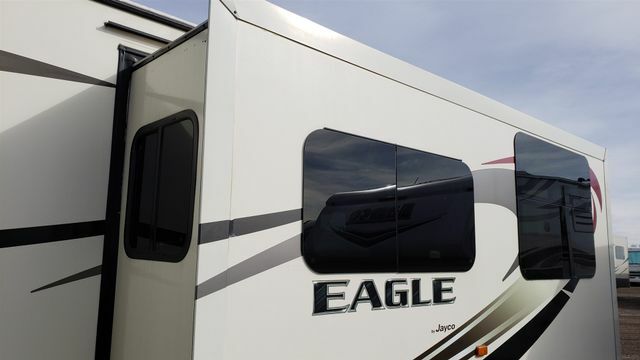 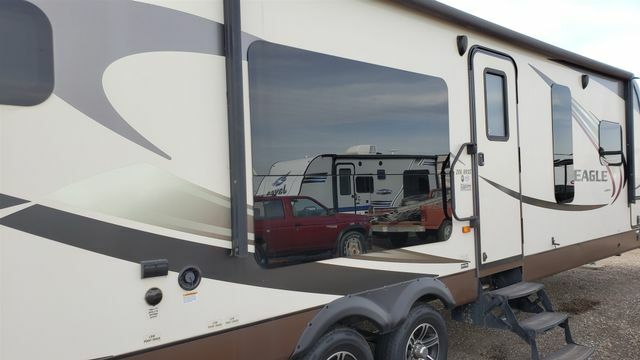 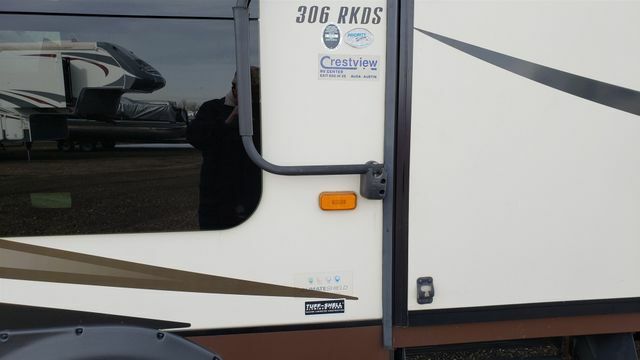 When headed outside, you will enjoy the shade from the 20' awning and the exterior storage for your outside gear.